It seems Ryan Seacrest knows his place! The former American Idol star joined Live With Kelly in early May — and he and co-host Kelly Ripa have been quite the dynamic duo ever since. However, Ryan very well understands his role after joining a show that Kelly has been a part of since 2001. MORE: Kelly Ripa to Miss ‘Live With Kelly’ This Week for Fun Vacation With Husband Mark Consuelos and Their Kids! After being abruptly left by her former co-hosts Regis Philbin in 2011 and Michael Strahan last year, Kelly had to make it a point to be treated like an equal at the network since she had been blindsided time and time again. MORE: Kelly Ripa’s One Warning for New ‘Live’ Co-Host Ryan Seacrest Is So Funny! And now that Kelly, 46, has Ryan, 42, by her side, she couldn’t be happier. “He is just so professional and kind to everyone,” she previously told People. 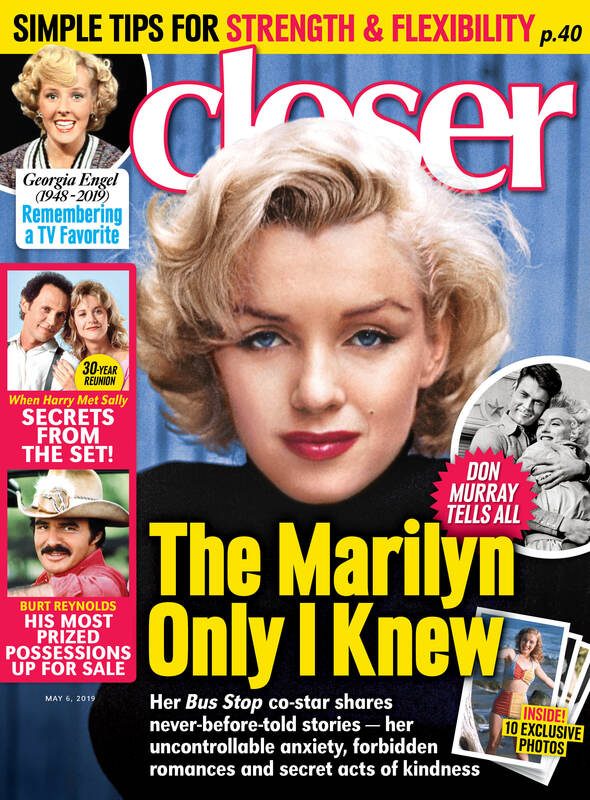 For more on Kelly and Ryan, pick up the latest issue of Closer Weekly, on stands now! Click through the gallery below to see Kelly Ripa’s transformation! She rocked a pretty edgy hairstyle for her role in All My Children. She looks unrecognizable! Later in the show All My Children, she also sported a full head of blonde curls. It's amazing how much difference a hairstyle can make! Kelly looked totally different with slicked back hair at the 25th Annual Daytime Emmy Awards in 1998. But she still looked stunning! She looked like a stylish vixen with her blonde bob at this Celebrity Brunch and Auction for the Melissa Neier Memorial Fund. All we can say is wow! Kelly was almost unrecognizable when she rocked curly hair at the 27th Annual Daytime Emmy Awards! Kelly had dark straight hair at Entertainment Weekly's annual Academy Awards viewing party. She looked completely different! Kelly grew out her blonde locks for the Angel Soft Angels in Action event. The look definitely suits her! Kelly went for curls when she visited the Late Show with David Letterman. It's not what we're used to, but we love the look! We rarely ever see Kelly with her hair up — but she rocked the look for her interview on the Late Show With David Letterman! Here's to hoping she'll go for more updos in the near future. We couldn't get enough of Kelly's straight blonde hair at her Cake Off For a Cause event at Chelsea Market! It's simple and chic! She definitely mastered the elegant bun on the Academy Awards red carpet. We're starting to wish we had her stylist! Her hair was practically a work of art at the Vanity Fair Oscar Party. We're obsessed with those curls! Kelly decided to switch things up and dye her hair bright blue! She shared the photo on instagram. She looked so glamorous with her short curls at 'Soulcycle's Stacey Griffith in Conversation with Kelly Ripa' event!